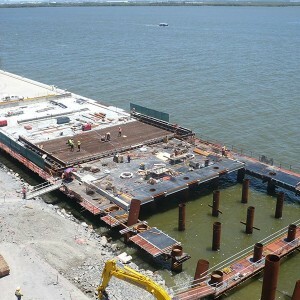 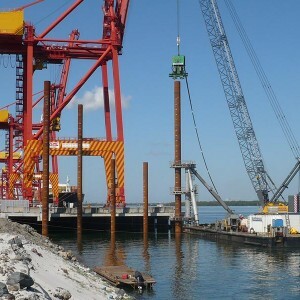 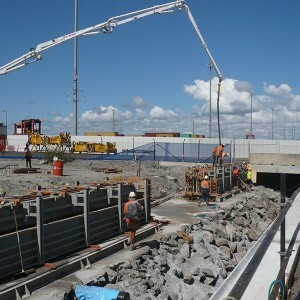 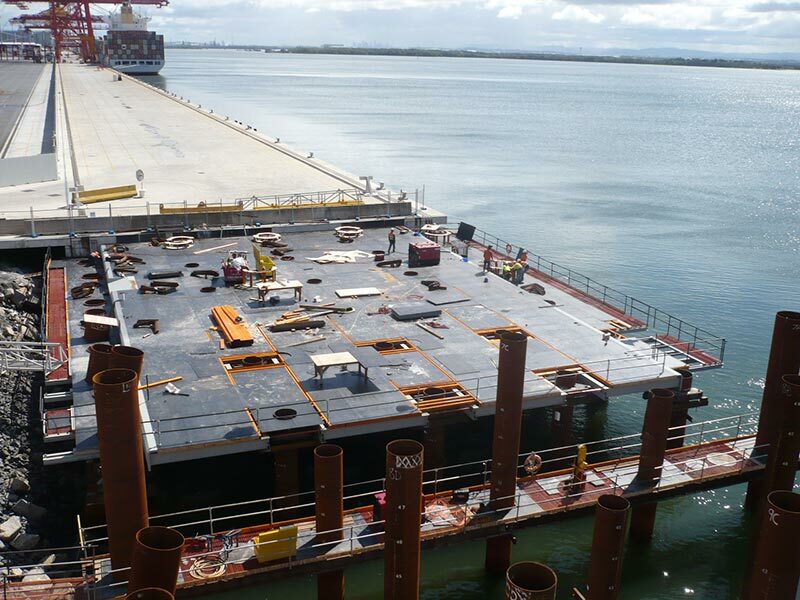 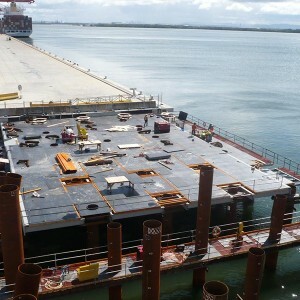 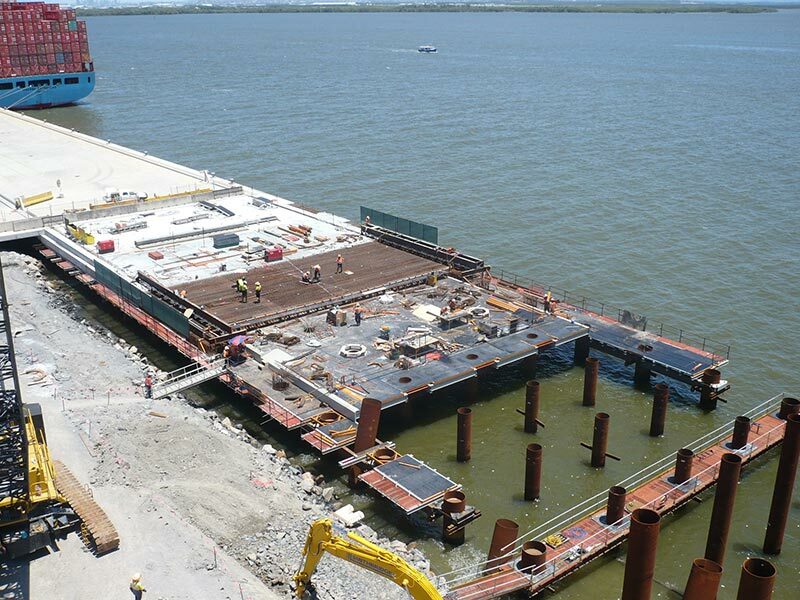 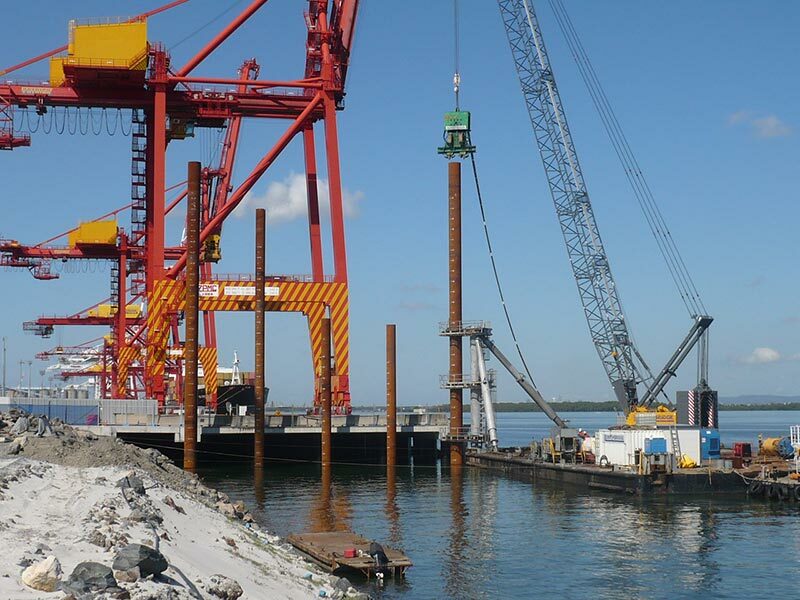 Lump sum contracts at the Port of Brisbane for the construction of two wharves with a combined length of 689m. 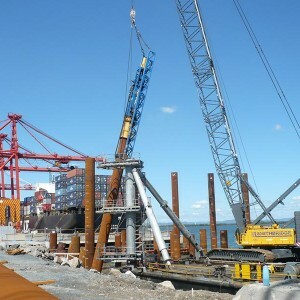 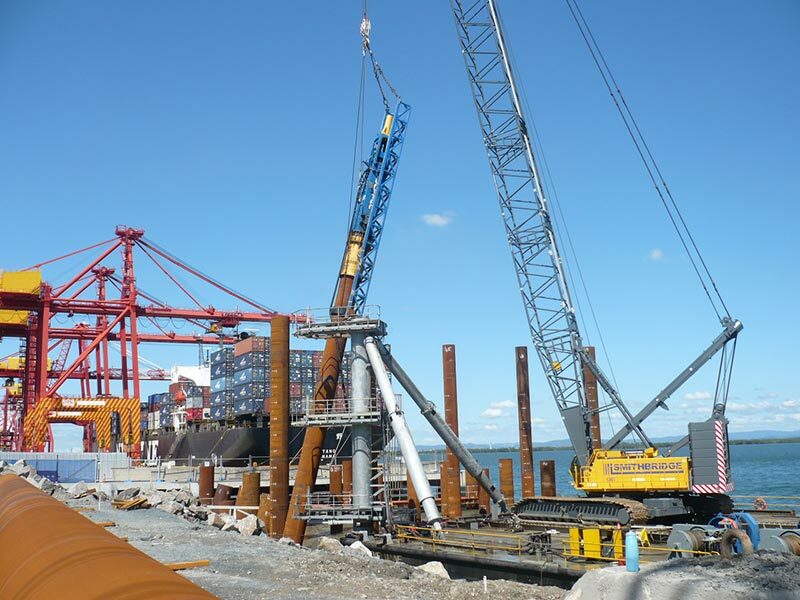 The works were self-constructed and included the driving of a total of 686 steel pipe piles with lengths up to 48.5m, topped by an insitu concrete deck. 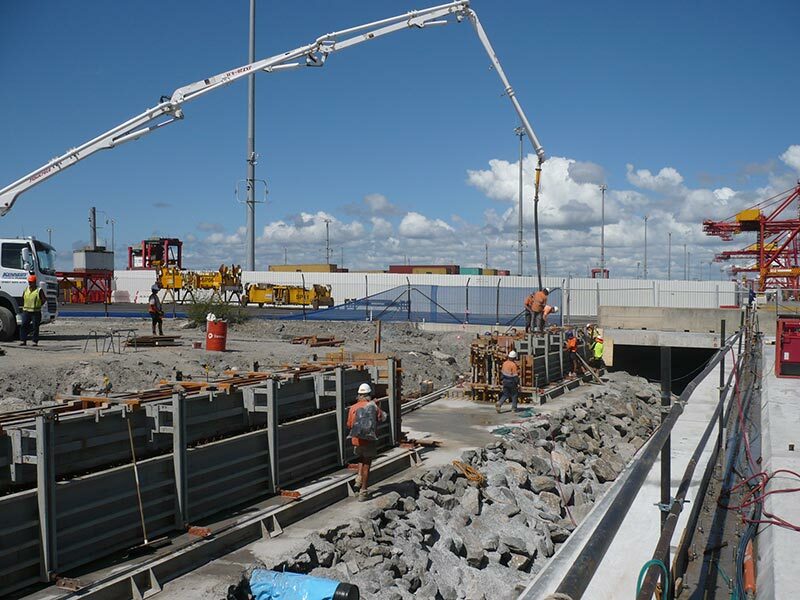 The contract also included the construction of a reinforced concrete abutment and relieving slab as well as the installation of fenders, crane rails, bollards, services and other miscellaneous works.